Legendary Australian photojournalist Dr Michael Coyne lives in Melbourne and Hong Kong, but has spent much time travelling the world on assignments for publications such as Newsweek, Life, Time, National Geographic, New York Times, Sports Illustrated, Smithsonian and Vogue, to name a few. During his extensive 30-year career Michael has covered wars, revolutions and other international events in places such as the Philippines, Cambodia, Indonesia, Central Africa, East Africa, Latin America, North America, Australia, New Zealand and the United Kingdom. Michael's insightful photographic style provides a candid visual perspective of people, cultures and experiences that often chronicle significant and historic events. His outstanding images have earned him many accolades including a Centenary Medal by the Australian Government for Services to Photography; an Honorary Fellowship by the AIPP (Australian Institute of Professional Photography) as well as many international awards. He completed a PhD on Documentary Photography and is an Adjunct Professor of Photography at RMIT University, Melbourne; Senior Fellow of Photography at Photographic Studies College, Melbourne and an Honorary Lecturer at Hong Kong University. Michael has published more than 10 books and had three documentaries filmed about him. As a social documentary photographer, I often find myself taking photographs in difficult circumstances. During my work I have had to cope with low lighting, troubled people, suspicious governments and carry heavy cameras during long journeys on basic transport. So, I was delighted when Fujifilm Australia asked me if I would work with the new FUJIFILM X100 camera. It was light, unobtrusive, easy to work with and produced excellent files under all types of situations. Since using the FUJIFILM X100 camera, I have taken different FUJIFILM cameras into volcanos, rubbish dumps, charcoal factories and sailed through an ocean storm in an open boat. In all these difficult circumstances the cameras performed beautifully, and I captured many images that I’m proud of. Since the arrival of the FUJIFILM X-T1, I have used FUJIFILM cameras exclusively and I’m honoured to be a Fujifilm Ambassador. 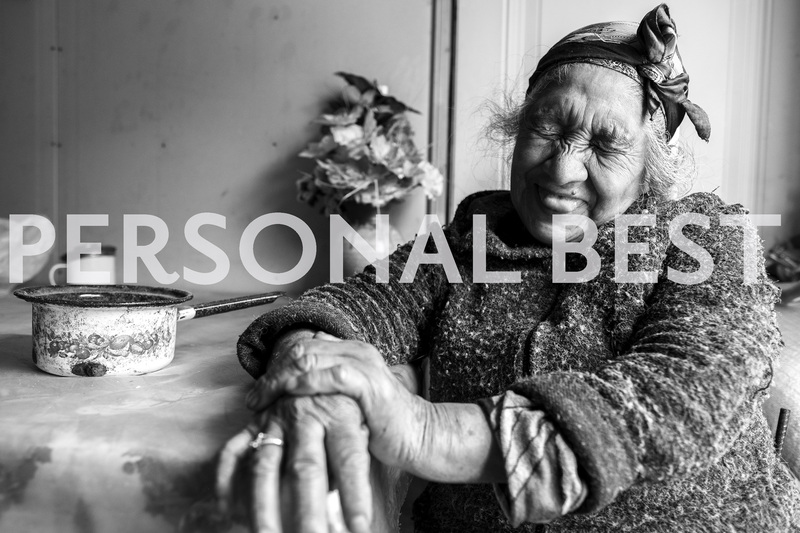 For some time, I have been working on a project about village life around the world. This project has given me the opportunity to travel and to share the lives of rural people in many different cultures. I started working on this project with the FUJIFILM X-Pro1 and now I shoot a lot of pictures with the FUJIFILM X-Pro2 and XF18mm lens. This is a combination of camera body and lens that I love, it works perfectly for the type of photographs I like to make. The FUJIFILM system has changed my way of working, invigorated my photography and I look forward to continuing the journey. I’ve always been pleased with this image of a farmer with his chicken. For me it’s a coming together of the things I like about my village project. The farmer had agreed to pose for me at his farm in Tuscany, Italy. Just before I started to take his picture, the farmer said, “Wait! Wait!”. He ran off and returned with his favourite chicken who he then serenaded during the photoshoot. It was a warm, eccentric and funny moment. Image taken on a FUJIFILM X-Pro2 with XF18mmF2 lens. For three days I’d been following the proceedings of Semana Santa (Holy Week) in Alquerias, Spain. Late one night as the participants stopped for prayers, I managed to capture this image by the light of a streetlamp. When I saw the image, it seemed that everyone was perfectly positioned, as though they were standing on a movie set. The image was taken on a FUJIFILM X-Pro2 with XF18mmF2 lens. While traveling through northern Vietnam I saw smoke wafting up through the hills. In the midst of the smoke was a man pounding rocks with a drill. The image was taken on a FUJIFILM X-Pro2 with one of my favourite lenses, the XF18mmF2 lens. A boatman steers his boat through a tropical rainstorm in Blanche Bay, Papua New Guinea. I lay on the deck pointing the FUJIFILM X-Pro1 camera up into the sky and rain as the boat was tossed and turned by the stormy seas. The image was taken on a FUJIFILM X-Pro1 with XF18mmF2 lens. It is an enormous challenge for poor people in the rural areas of Indonesia to manage the issue of mental health. This young man had to be tethered to a chain in a small room of his parent’s house to prevent him from attacking people on the streets of his village. One of the challenges in these circumstances, is how to photograph the person with dignity. So I decided to wait until the cigarette smoke covered his face and we didn’t expose him to further humiliation. Giving birth is a sensitive and personal time. One also has to be aware of cultural taboos. Luckily for me, the villagers in Timor-Leste, allowed me to capture this moment when the midwife handed the new born baby over to the mother. I was lying on the ground photographing a gathering of tribal people in the highlands of Papua New Guinea. Near me were a group of middle-aged women who were larking about and joking together. Suddenly two of the women reached out and squeezed the breasts of the woman standing closest to me. I managed to capture this brief moment on the FUJIFILM X-E3 with XF23mmF2 lens. I was documenting the daily life of the Mapuche tribal people on the Chilean side of the Andes. When I asked Aurora if I could photograph her at home, she smiled, then laughed and wrinkled her face. I caught this moment of spontaneity on the FUJIFILM X-Pro2 with the XF16mmF1.4 lens. I was waiting at the depot for a local bus in Vietnam. In the corner of the yard were a few drivers playing Chinese checkers. The scene looking interesting but didn’t really make a good composition until a man stood in the open window and the picture suddenly looked balanced. I quickly took a photograph with my FUJIFILM X-Pro2 and XF18mmF2 lens. The man moved away, and the moment was gone. I came across this Dzao tribal woman repairing a road in northern Vietnam, not far from the Chinese border. It was early morning and the light was great, with the low sun creating long shadows and strong highlights. The cross light emphasized the features of the woman and the scene, which I captured with my FUJIFILM X-Pro2 and XF18mmF2 lens.